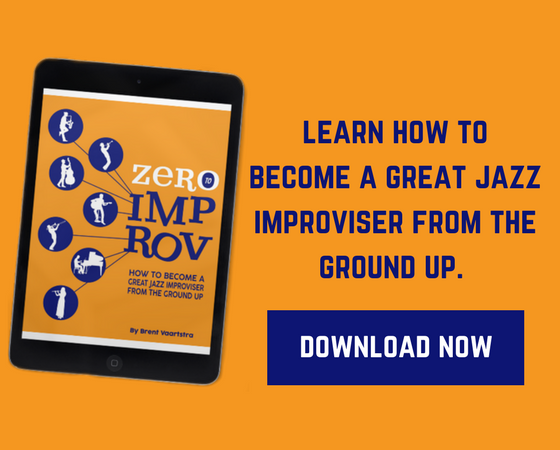 When it comes to jazz improvisation, it’s all about learning the jazz language. We do that by learning jazz solos, licks, and just listening to jazz. 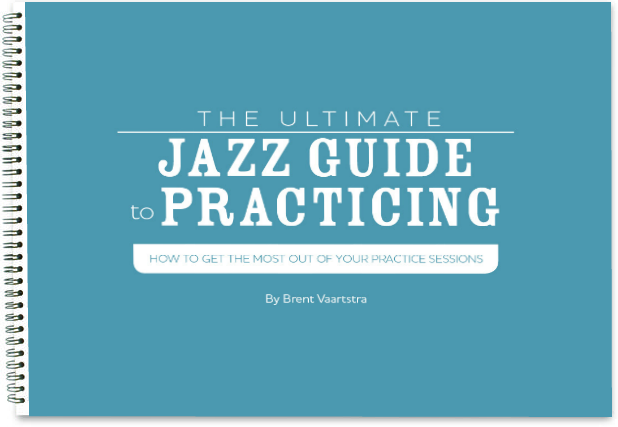 These are of the utmost importance and should be a regular part of every jazz musicians practice. However, it’s also important to be aware of how jazz language works. Furthermore, it can be helpful to have different ways to conceptualize how to approach different harmonic aspects presented in jazz. A common question I get is “what scale should I play over a…..(dominant 7 chord)”. I cringe a little when I get these sorts of questions. It’s not that it’s a bad question, it’s that I fear if I answer it, the student will misuse the information. This is why I have hesitated to write this post for years! I don’t want someone to misunderstand that you should use scales as a primary approach for jazz improvisation. Because you shouldn’t! Rather they should be used as tools to A. 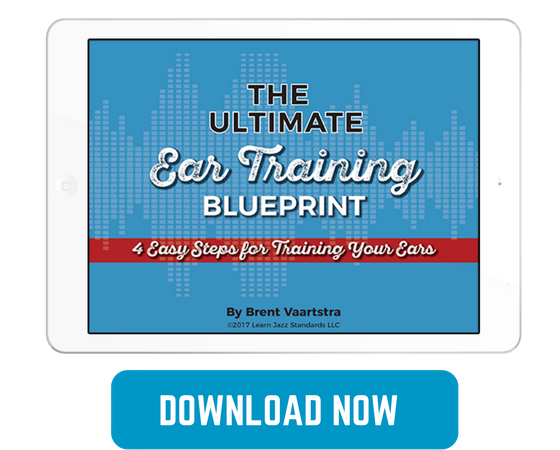 Learn your instrument and B. Conceptualize jazz harmony. I always give this disclaimer every time I give a lesson on scales: If you approach jazz improvisation with only scales on your mind, you will sound like you are playing scales, not music. That being said, it can be incredibly useful to understand what scales you can use over different kinds of chords. Why? Because these represent the pitch collections that can be used as note choices. I like thinking of scales as pitch collections because it’s more visual. When I think of the word “scales” I think of a series of progressing notes going up or down in pitch. When I think of pitch collections, I think of a palette of notes I have to choose from in order to construct melodies. So when it comes to jazz improvisation, think about scales as pitch collections. Here is a list of what scales you can use over 7th chords. It’s important to note that there are many more scales you can use and super-impose over the chords I’m listing. For example, I won’t mention the different kinds of minor pentatonic scales or bebop scales you can use. I won’t mention the blues scale because I don’t believe it’s the best of choices. These are the basic scales you can use as pitch collections over the most common 7th chords. Feel free to list more you can think of in the comments section below! Have others to share? Leave them in the comments below. I'm wondering how necessary it really is to think in terms of modes and particular scales, scale subs. I use the proper modes for the corresponding chord, but when I see an altered chord for instance, I just add or sub in that extra note into the scale and it works pretty good. I think it gets a little too sanitized to always be thinking of scales and where to plug them in to what. For me I prefer to get used to hearing those notes that don't fit into the key and adding them in as needed. It feels more natural and much easier to simply slightly adjust my existing licks and patterns with added/subbed notes than to totally change gears in my mind of what scale I need to switch to. Am I making sense? Hey there Guts, I believe you are thinking on the right track! Ultimately, we don't want to be thinking scales to improvise. Rather think of them as "pitch collections," a way to map out possible note choices. At the end of the day, whatever helps you create good music, do that! Very nice. I would include the 5th mode of melodic minor over Dom7(b13). Great! O difícil mesmo é ter que pensar cada uma dessas escalas a cada acorde que se apresenta numa progressão. Acredito que quando estamos diante de uma progressão harmonica qualquer, de natureza tonal, deve haver sempre um grupo de notas que contemplam certo bloco de acordes, ou pedaços da harmonia. Isso tornará mais fácil improvisar. Ter que pensar em uma escala distinta a cada novo acorde que se apresenta na música torna a tarefa mais complicada. Acredito que deve haver uma forma de simplificar essa aplicação. Peço ajuda nesse sentido. Essa parece ser minha maior dificuldade atualmente.